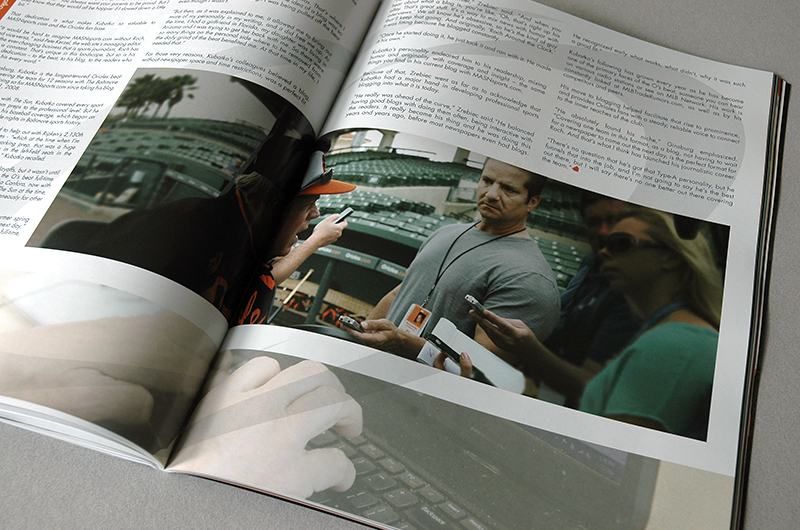 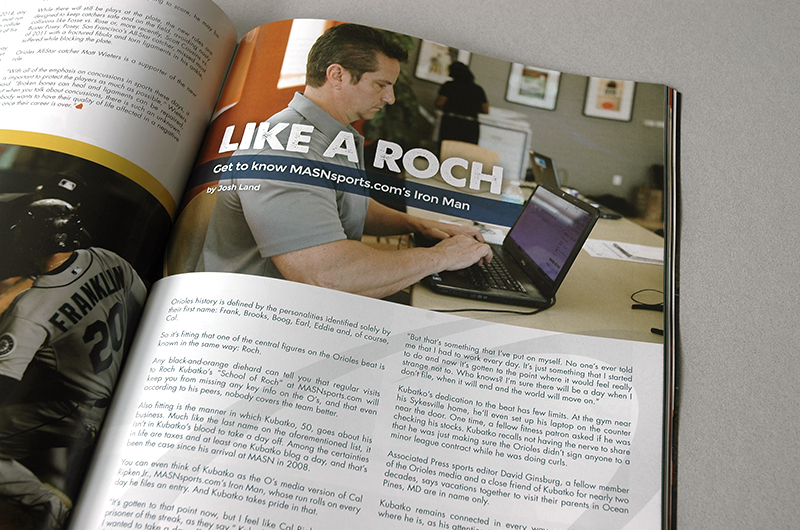 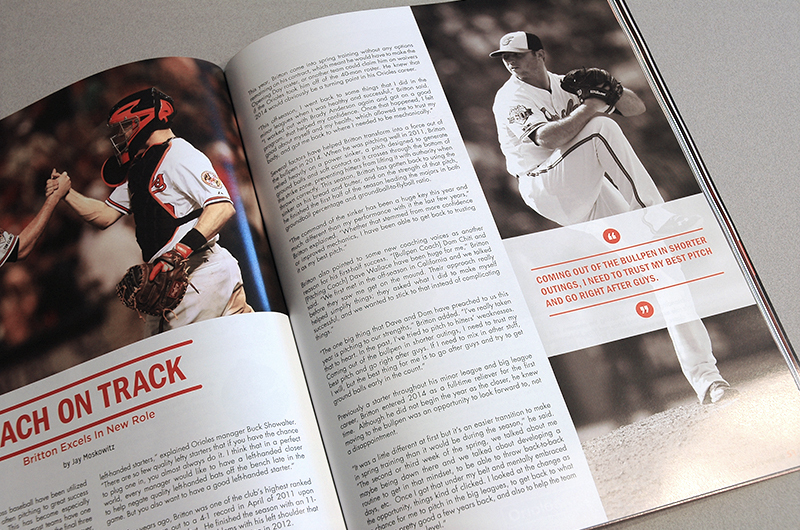 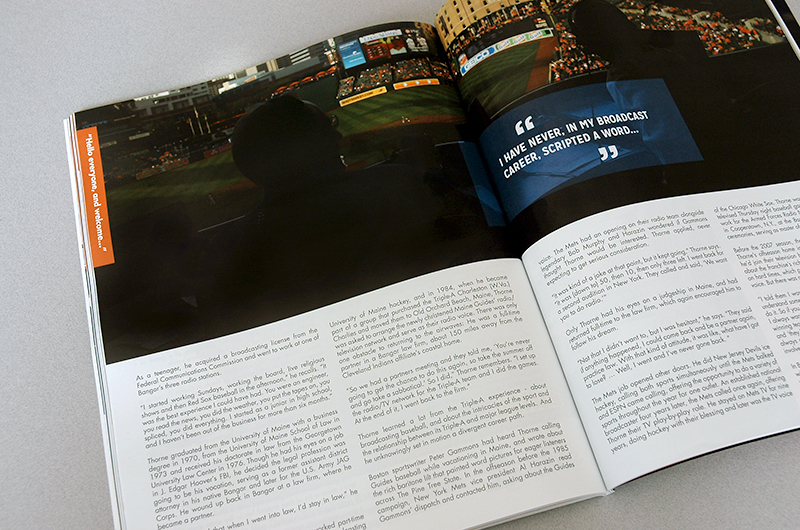 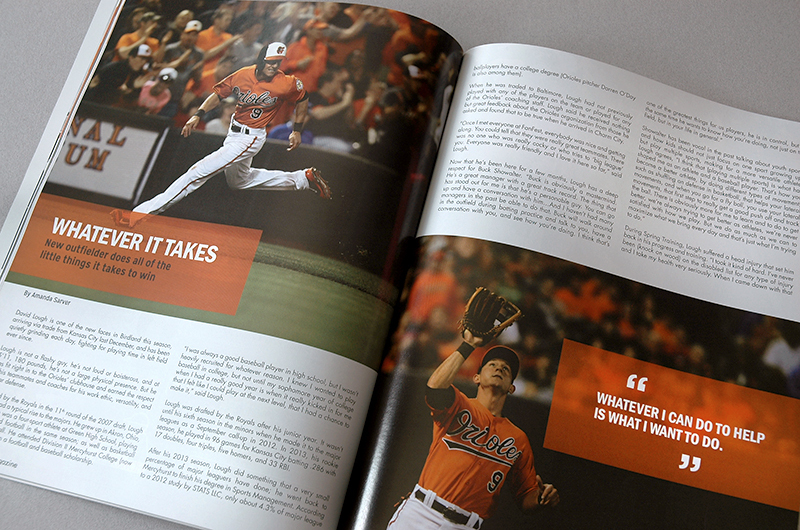 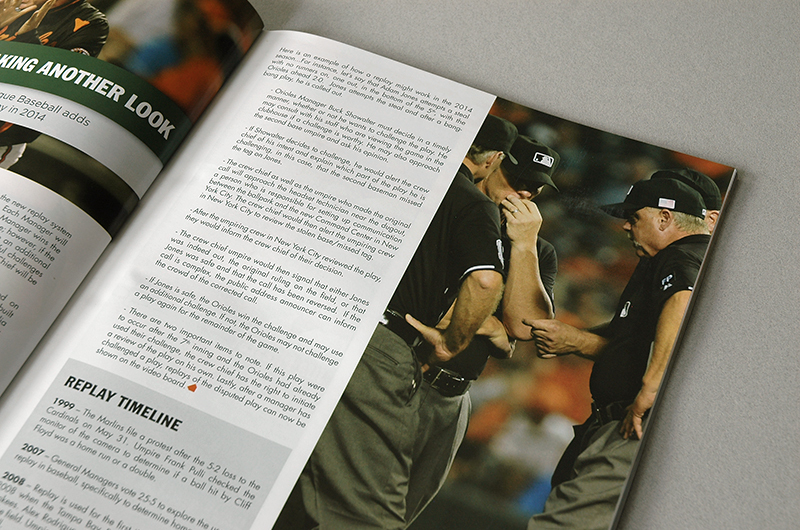 Orioles Magazine is published in three editions and includes articles about current and past Orioles players and staff. 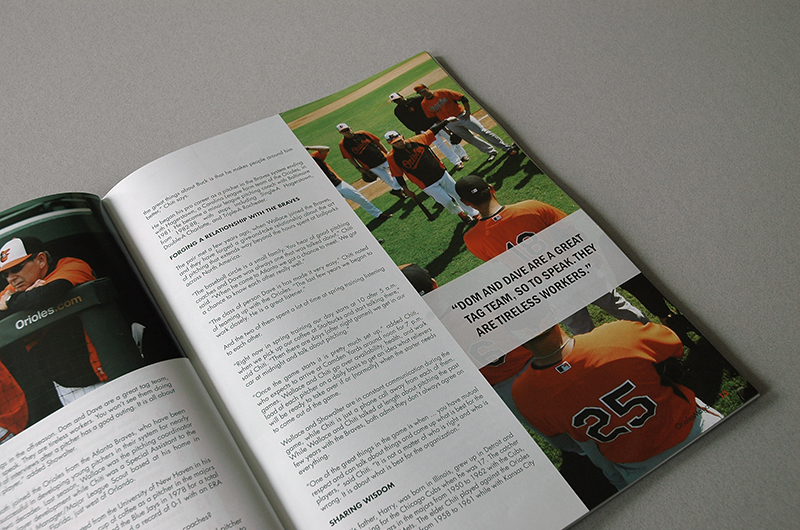 A portion of each issue's articles are assigned to me so that I can design the page layout and choose the placement of photographs that are provided by our Photography Department. 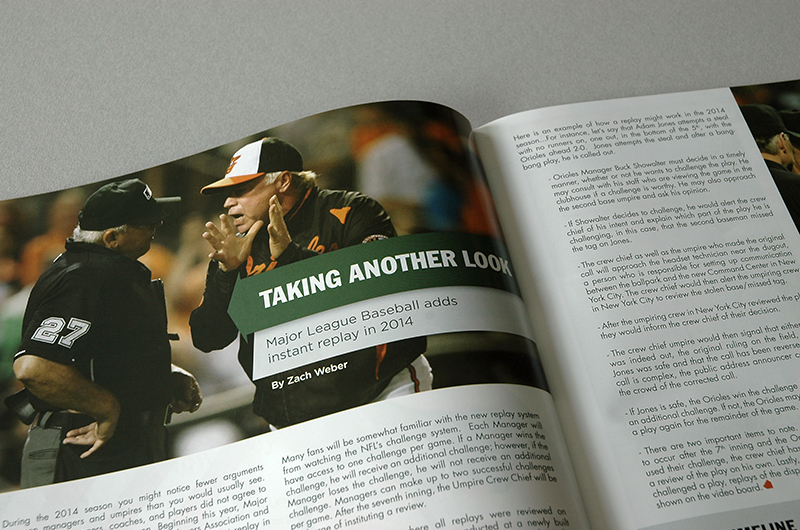 All articles and photographs are copyright of the Baltimore Orioles.